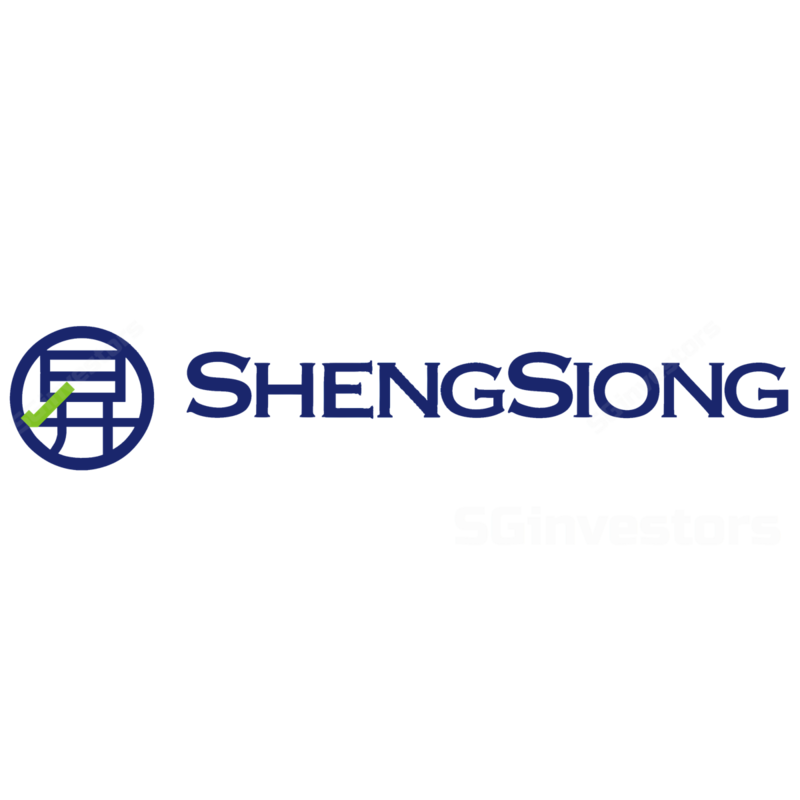 We initiate coverage of SHENG SIONG GROUP LTD (SGX:OV8) with a SELL and DCF-based Target Price of SGD0.95 (7.8% WACC, 1% LTG). Our Target Price implies 19.5x FY19 P/E, less than 1SD below its 5-year mean. We believe Singapore’s second-largest supermarket chain will not be immune to a slowdown in consumer spending amid economic deceleration anticipated by MKE Economics team in 2019, on top of rising e-commerce competition and changing dining habits. We pencil in more-conservative-than-Street estimates on new-store sales and same-stores-sales (SSS) contributions for FY19-20E. Risks to our view include higher-than-expected new store and SSS contributions due to improved consumer sentiment and reduced competition. Sheng Siong Group is the second-largest and only pure supermarket operator listed in Singapore. It operates 54 stores with a 25% market share by sales. In China, it opened its first store in Kunming in Nov 2017 and will open a second before end-3Q19. It is a familiar name to many Singaporeans who associate Sheng Siong Group with convenience and value groceries, having operated for 34 years in the heartlands. While we believe Sheng Siong Group’s earnings tend to fare better than those of consumer-discretionary stocks, we also see risks of the Singapore consumer further tightening their purses amid slower GDP, slow-to-stagnant wage growth and the rising threat from e-commerce. Crucial to Singapore retailers’ growth is the opening of new stores. Sheng Siong Group opened a record-high 10 new ones in FY18. The last time it opened close to that many stores was in FY12, with eight new stores. Management classifies new stores as those opened in the last and current financial years. As these usually contribute strong revenue growth in their first 3-4 years, we expect its 10 new stores to contribute 7.2% or the bulk of FY19E total revenue growth of 8.4%. However, unlike in FY12, these 10 new stores, particularly those opened in 2HFY18, were opened against a backdrop of deteriorating GDP growth as well as changing consumer dining habits. Hence, we are more conservative than the Street and management in our estimates of new-store sales contributions. We conducted a survey which attracted 200 respondents in Jan 2019 to understand Singaporeans’ dining habits and how new online competition and app-based food-delivery services influence their dining decisions. We conclude that there is a possible long-term trend of consumers choosing cooked-food deliveries available at the push of a button, which may affect the frequency of their supermarket visits. We also gather from news reports and our survey that Singapore consumers under age 40 are the most receptive to cooked-food deliveries. This may pose a challenge to Sheng Siong Group, as it expands to locations with a greater concentration of younger families. Management confirmed during its latest results briefing that sales at its new stores located in residential areas mainly occupied by younger people are growing more slowly than the historical average for its new stores. Besides locating its stores in HDB heartlands, Sheng Siong Group is known for focusing on balancing product affordability with freshness. It prices its products competitively against market leader NTUC FairPrice and below more-premium supermarkets such as Cold Storage. While this price-convenience combo worked in the past to gain market share, we are more concerned about the increasing concentration of the three major supermarket players – Sheng Siong Group, FairPrice and Dairy Farm International (SGX:D01) brands in multiple HDB heartland locations, implying fierce competition. This would then limit the upside risk to our valuations, which is higher-than-expected number of consumers converting from premium supermarket customers to Sheng Siong Group shoppers in the face of decelerating GDP growth. See attached 40-page PDF report for detailed analysis on Sheng Siong Group's downside catalysts. Revenue growth to slow down in FY19-20. Following FY18 revenue growth of 7.4% y-o-y, we expect growth in FY19E to be resilient at 8.4%, on the back of continued contributions from its 10 new stores opened in FY18. Growth, however, could dip to 3.6% in FY20E with slower new-store expansion and lower consumer spending expected. Historically, Sheng Siong Group’s SSS contributions have a positive correlation with the Singapore Consumer Confidence Index. As MKE forecasts that consumer confidence will deteriorate along with a slowdown in Singapore GDP growth, we model 0.5% SSS contributions for FY19E. We understand from management that FY18 SSS contributions were down 0.4% (after excluding Tampines Block 506 store contribution, as sales performance was strong after store expansion by approximately 15,000 square feet in 2HFY17) due to poor consumer sentiment, cannibalisation of some old stores when new Sheng Siong Group stores were opened in their vicinity and competition from peers & e-commerce. Besides forecasting new-store and SSS contributions, we added an adjustment factor for potential changes in shoppers’ basket sizes as a result of changes in consumer sentiment. This adjustment factor has been added to our new-store revenue-growth assumptions. As Sheng Siong Group opened 10 stores in 2018 on the back of reduced tender competition, we expect a moderation in its store expansion in the next two years. It may accelerate store openings again as the economy picks up or with increased supply of HDB commercial units for tender. China’s revenue contributions are expected to remain at 1-2.1%, as Sheng Siong Group is still establishing its brand and foothold there. In Jan 2019, the company announced a second store opening at Jing Dian Twin Cities in Gaoxin District, Kunming. The store is expected to be operational before end- 3Q19. As its China operations are still in gestation, we remain conservative and have not factored in further store openings. We expect gross margins to remain at 26.5% for the next four years, as we believe Sheng Siong Group will keep its favourable product mix which emphasises fresh produce. Subsequently, we expect a gradual decline to 26.0% as we believe demand for fresh produce will dip as ready-prepared meal options gain further popularity, affecting Sheng Siong Group’s product mix. Generally, we estimate that fresh produce commands average margins of 35% vs 20% for non-fresh items. Reflecting its recent years’ shift in sales mix to more fresh produce, Sheng Siong Group’s gross margins improved from 22.1% in 2011 to 26.8% in 2018. Net margins also improved from 4.7% to 7.9%, further aided by cost-control. Sheng Siong Group’s EBIT margins improved from 6.8% in FY13 to 9.4% in FY18. This reflected both gross-margin and efficiency gains. However, FY18 margins were lower than FY17’s due to its pace of expansion in FY18, which bumped up its administrative expenses to 17.3% of sales from 16.6%. Staff cost is a major component of administrative expenses (MKE estimates to account for 73% of total administrative expenses for FY18). During its recent results briefing, management acknowledged the possibility of higher staff costs from the government’s lowering of the dependency ratio ceiling for the services sector from 40% to 38% on Jan 2020 and further to 35% on 1 Jan 2021. But with Sheng Siong Group’s commitment to improving efficiency through automation, management believes that its staff costs will be less of a concern than for other service providers. We expect slightly higher staff costs for 2020E to 2022E, before they stabilise. See attached PDF report for details on Sheng Siong Group's balance-sheet and cash-flow analysis. We value Sheng Siong Group using DCF to capture its long-term potential. We use a 2- stage FCFF model, with the first covering FY18–27E. For the second stage to perpetuity, we assume a steady-state growth rate of 1.0%. We forecast revenue-growth declines towards a more sustainable 1.0% as its new-store expansion slows down towards the 10th year of our forecasts. We identify Dairy Farm International (SGX:D01) as Sheng Siong Group’s direct comparable. We also include major listed Asian and global supermarkets and staple retailers in our peer comparison (see attached PDF report). Sheng Siong Group trades at 22.4 FY19E and 21.6 FY20E earnings vs 50.8x/30.1x for peers. In terms of gross margins, ROEs and dividend yields, it stands out from its peers. We attribute this to its cost efficiency and prudent cash management. We also note that Asian grocery players trade at much higher valuations than their global peers.